For long a niche product, the GoPro HERO3 is now on its third-generation of wearable cameras and the rest are playing catch-up in what appears to be a market on the verge of being big. TravGear does a lot of travelling, but almost none of it is worth filming for posterity, but such is the rampant narcissism in society that making point-of-view movies of anything remotely dangerous appears to have become common. Cue the #IceBucketChallenge, we suppose. And if you’re going to do it, you might as well film it in Ultra HD 4k quality, which is definitely the future-proof format of the moment if IFA 2014 if anything to go by. This one films in 4K at 25 frames per second, but it also has a nifty 200fps slow-mo mode if you film in a lower resolution. 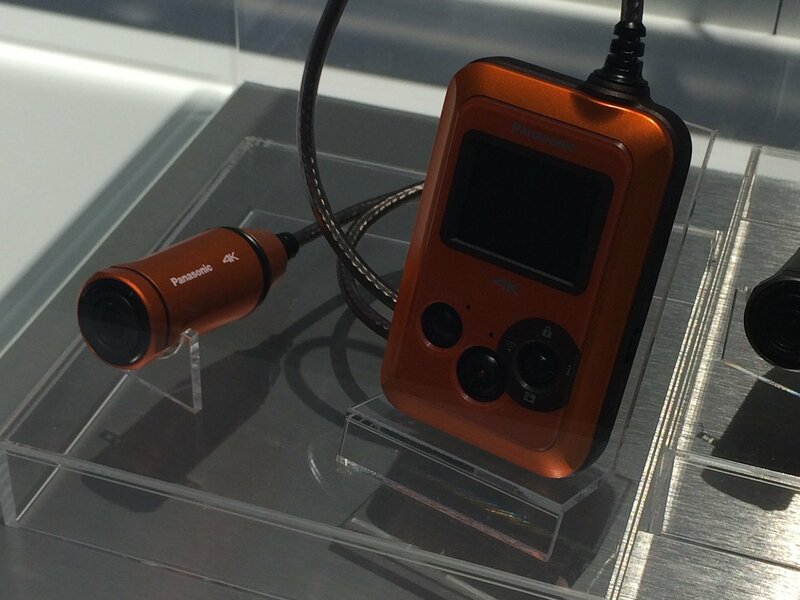 Completely waterproof and dust-proof, the HX-A500E wearable camcorder with Wi-Fi is tiny and weighs just 32g. It’s a two-part product, with the optics stored in a separate canister that’s attached to a recording and storage device (about the size of a smartphone) attached using an ultra-strong cable of the kind you might tie-up your bike with. The idea is that the camera clips to a helmet whole the other section is strapped to your upper arm.